In grocery stores, malls and department stores, consumers expect the floors to be safe. When a product falls onto a customer, a liquid spills onto the floor or an item falls off a high shelf, serious injuries can occur. In these situations, it is our goal to ensure you are properly compensated for your medical treatment and any lost wages. 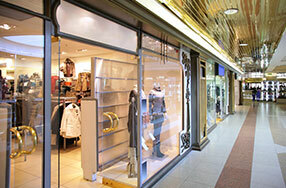 The Seattle retail store accident lawyers at Kraft Davies, PLLC, have a thorough understanding of personal injury law. We have represented clients in a wide variety of cases throughout the years. Clients trust us for our detailed preparation, aggressive representation and personalized service. Contact us at 206.624.8844 if you or a loved one was injured while shopping in a retail establishment. It might be possible to recover monetary compensation for lost wages, medical treatment, and pain and suffering. If these situations, or any others, have led you to suffer an injury while in a retail store or mall, it is important to consult with a skilled attorney. Our firm can provide a realistic assessment of your case and the challenges you might face through litigation. For more information or to schedule an appointment with an experienced personal injury lawyer regarding accidents in retail stores, please contact us.